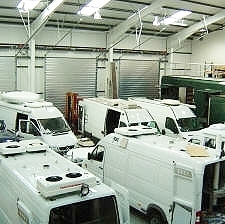 Megahertz builds SNG trucks in UK. Ely, UK March 2016: Megahertz, which builds SNG vehicles and provides an array of broadcast solutions, is attending CABSAT 2016, taking place from 8 to 10 March 2016 in Dubai, to demonstrate its innovative engineering and problem-solving skills. The company specialises in custom broadcast and mobile solutions. Megahertz specialises in providing turnkey solutions, starting from a comprehensive analysis of the requirements, working closely with the end user to understand precisely what they need, and agreeing the technology to be incorporated. The Megahertz service extends to full test facilities in the workshop and on delivery, all training, and continuing support.